Behind the Bit: Horses and heat! I could have sworn I blogged this already, but I can't find the post, and it's the time of year to feature my favorite obsession -- blanketing. Have you read the Equus Magazine article on What Horses Want? There was a study done on numerous horsey preferences, and they learned that -- shocker! -- horses do get cold, and they don't like it! Researchers trained horses to break a light beam to turn on heat lamps in their stalls. They turned the lamps on quite a bit. I am pretty sure the horses were mares -- I'm guessing, based on the way men and women react differently to cold, that geldings might not turn on those heat lamps as often. 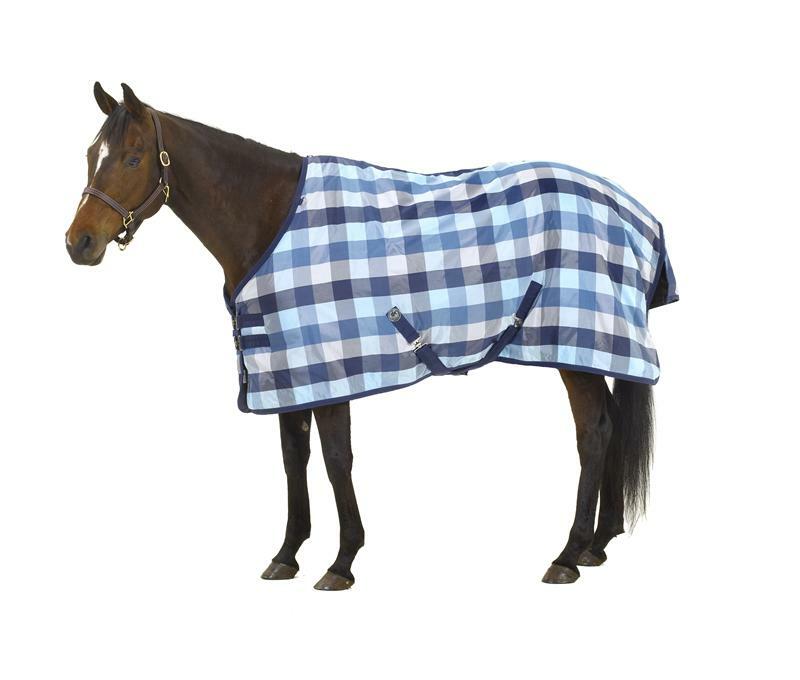 In honor of this study, I bought Harv this Centaur "Honey Badger" plaid turnout blanket. The plaid looks nice in pix, but it is stunning in person. Grab one while you can! Thank you! There's a stupid "viral" post about blanketing horses going around social media. But honestly, if my horse is cranky, and stiff -- I'm going to bundle him up! !